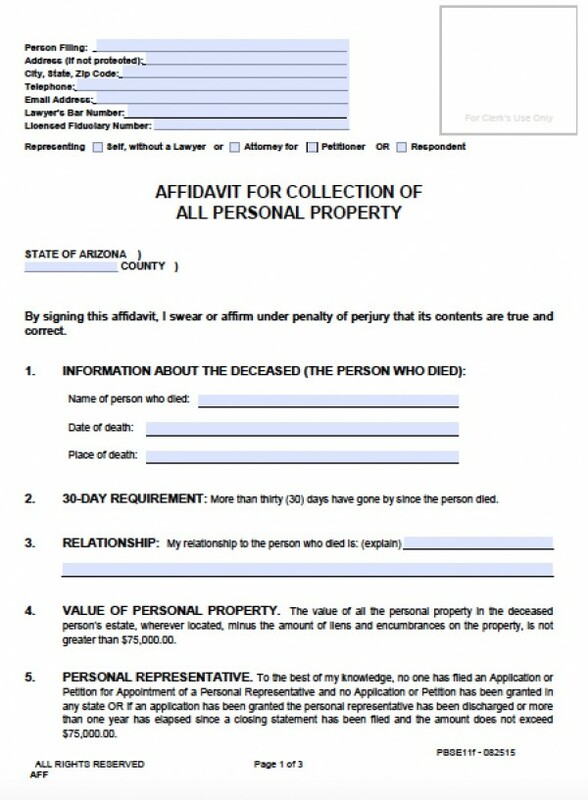 In Arizona, the Small Estate Affidavit may be filed if a decedent’s estate has been valued at less than $100,000, and at least 30 days have passed since the property owner passed away. If the decedent’s personal property – bank accounts, vehicles, other non-real estate property – values less than $75,000, then the successors may also file for a Small Estate Affidavit. Whether the decedent had a will or not, a Small Estate Affidavit helps the family or other inheritors avoid probate court. 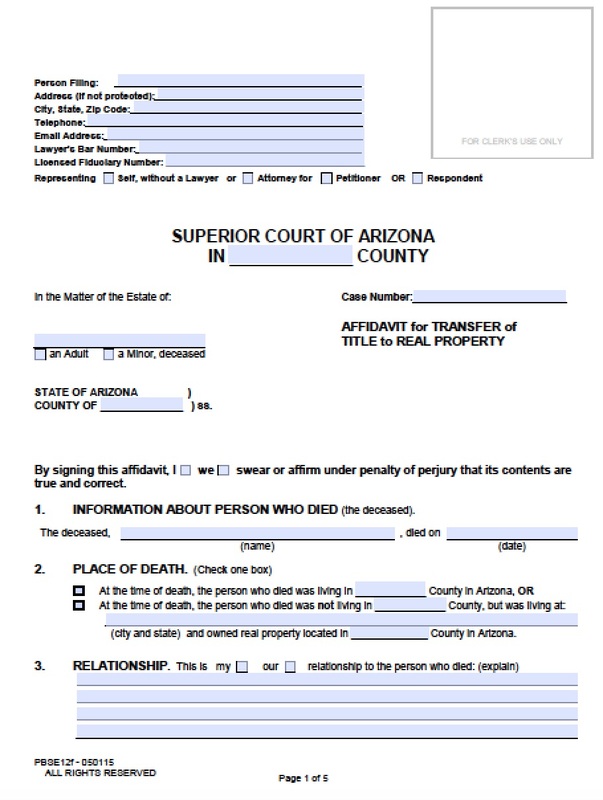 Step 3 – File the form with the proper clerk or courthouse.